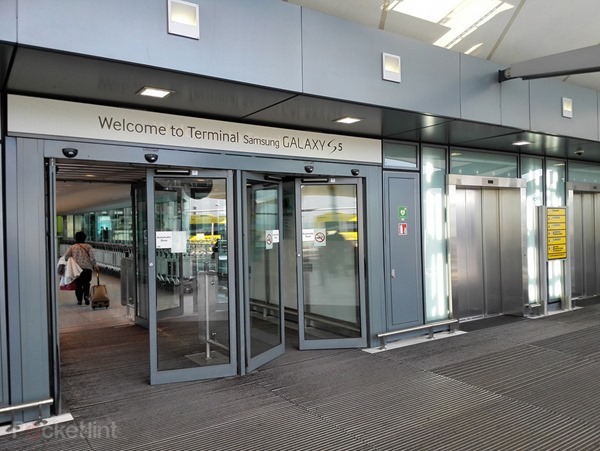 Last week, we heard that Terminal 5 at Heathrow Airport in the UK would be completely renamed for a two-week period to ‘Terminal Samsung Galaxy S5.’ Given the Korean company’s reputation for spending big on, shall we say, unique marketing ideas, we weren’t too surprised to hear of this new campaign, and even though a report over the weekend suggested that Samsung’s big takeover of signage, website, wayfinding and digital signs was exaggerated, snaps have now emerged showing just how much Galaxy S5 memorabilia you’ll be seeing if you happen to pass through Heathrow T5 in the next fortnight. When it comes to advertising a new product, no company does it quite like Samsung. 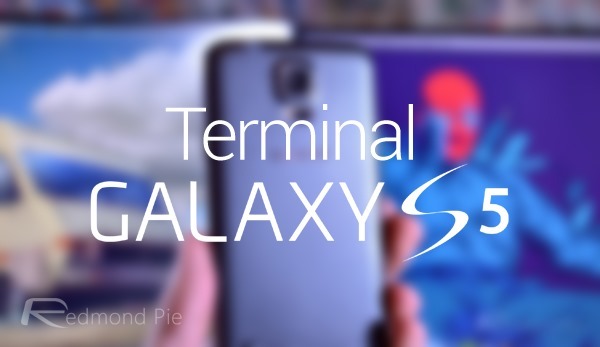 Renowned for spending vast wads of cash in order to spread the word about a flagship smartphone, a new tablet or one of the many other electronic goods that the company sells, Samsung always endeavors to make extra sure that consumers don’t allow a potential new purchase to slip to the back of their minds. The Galaxy S5 has, in spite of a mixed reaction upon announcement, sold very well indeed, breaking opening-weekend sales records for any Galaxy S model. Moreover, it is recognized for having the very best display in the smartphone game right now, and with a camera that can mix it with the likes of the Lumia 1020, one might forgive Samsung for taking its foot off the marketing pedal. 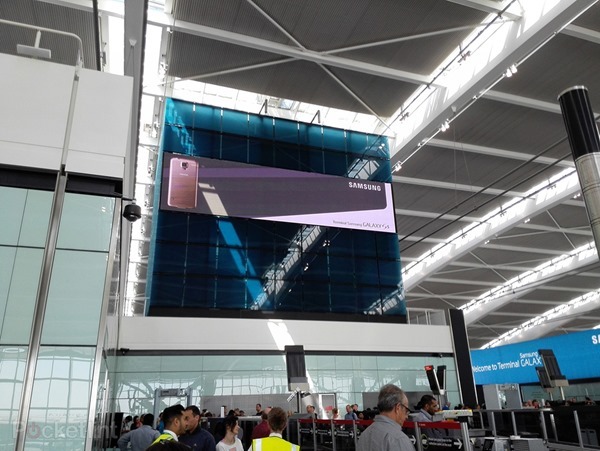 But while the bizarre quest to rebrand the entire Heathrow Terminal 5 from today (19th April) doesn’t appear to be as extreme as we first thought, this is still quite a bit more advertising than Heathrow has ever seen from one company, and with the likes of the LG G3 almost here, it’s not surprising to see Samsung ramping up exposure of its most cherished device. 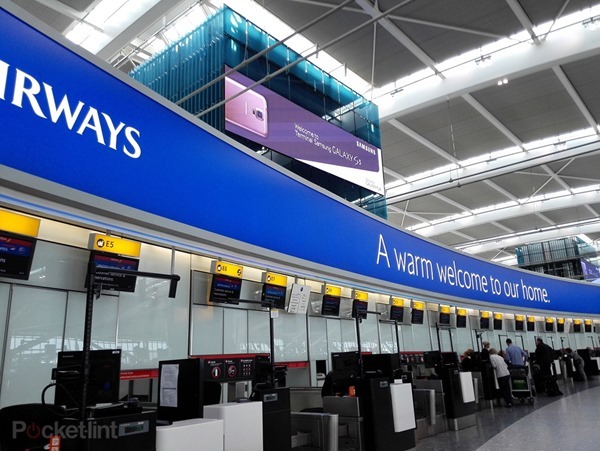 Pocket-lint has been strolling through Heathrow Terminal 5, and has taken a few snaps to show what you might expect if you do likewise. Given what was being reported late last week, one might have expected to see a Samsung-sponsored fanfare, complete with a famous singer or actor belting out Samsung Style. We’re very grateful to report that this is not the case, although if you do happen to saunter on through Terminal 5 in the next couple of weeks, you’ll struggle to do so without clapping your eyes on one of the many signs knocking about.